Baghdad was a ghost town on Saturday,, as security forces fanned out, blocking key roads into the Green Zone, the area downtown, closed off by blast walls, that houses parliament and foreign embassies. On Friday, over a hundred protesters were wounded and at least 2 died as crowds poured into the Green Zone for a second time in a month. Some attacked the home of Iraqi prime minister Haydar al-`Abadi. In response, he ordered a curfew in the capital that lasted until Saturday morning. Security forces expelled the crowds from the Green Zone, using live ammunition and tear gas. 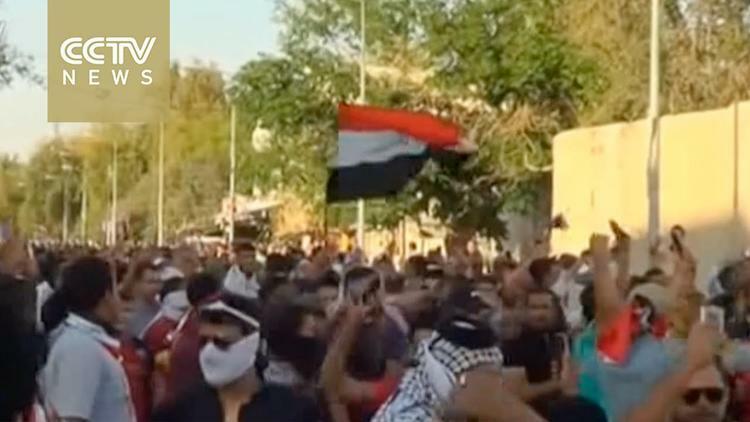 On Saturday, huge crowds of mourners came out in East Baghdad, protesting the deaths and woundings of the protesters, and continuing their protest of the lack of security and services in the capital. In the past week a wave of Daesh (ISIS, ISIL) bombings has killed dozens in the Iraqi capital, and several attacks targeted poor Shiite districts. The hundreds of protesters who came to Baghdad’s Tahrir Square (liberation square) on Friday and then invaded the Green Zone have been characterized as “the poorest of the poor”, Shiite followers of cleric Muqtada al-Sadr. That is, this turmoil is in part a class struggle between the disadvantaged Shiites in Iraq and the Shiite state bourgeoisie of post-Baath Iraq. One group is outside the system of well-heeled parties who control government patronage and the distribution of proceeds from the oil industry. The other group, much smaller, uses government positions to reward their party members. Whether this class struggle can be contained or tamped down will determine Iraq’s future, since a Shiite on Shiite struggle would inevitably benefit Daesh and delay the decisive move on Mosul.